Huawei, with 6.7 million units sold in the second quarter of 2018, won 24.8% of the market share and became the second largest mobile phone manufacturer in Europe. The president of Huawei Western Europe believes that he has mainly done two things, one is to let the outside world know about Huawei, and the other is to let Huawei learn from the outside world. One industry insider believes that Huawei's leadership is due to its R&D investment, ambition and strong execution behind it. Can digital technology bring old Europe to a new era? The Paris Opera House is a typical example. By 2019, people around the world were using the online platform of the Paris Opera House. This is no longer the familiar story of Huawei's war on telecommunications equipment. In the first seven years of his arrival in Europe, the head of Huawei's operator business, Bloomberg, was questioned by the Customs every time he was at the airport. Eleven years later, Huawei, with 6.7 million units sold in the second quarter of 2018, won 24.8% of the market share, making it the second largest mobile phone maker in Europe. Half of Huawei's revenue from these phones comes from high-end mobile phones. Western Europe is a high-end market, conquering a high-end market means having the ability to conquer the world. Mobile phones have pushed Huawei's brand around the world, and brand is a key factor for a company to expand its boundaries. At this time, Bloomberg has been upgraded to President of Western Europe. Then at the airport, customs officers asked him about the latest configuration of Huawei's mobile phone. In Western Europe, Huawei has become more and more calm and full-fledged, transforming from a telecom operator and a mobile phone company into a technology company providing intelligent life. It not only provides technical services, but also works with local industries to build mobile interconnected ecosystems. AI, 5G, IOT and so on are the bottom of the ecosystem. Mobile phone is the pusher of this system. Huawei has been in Western Europe for 18 years. This is not the earliest market Huawei has entered, nor the latest one, but it is the most critical one. Bloomberg, president of Huawei's Western Europe division, believes that letting mainstream European society recognize and accept a brand is totally different from knowing a brand. Eight years later, in 2012, Huawei became a well-known telecom equipment company in Western Europe. That year, Huawei began discussing internally whether to build its own brand of mobile phones, and Bloomberg had some concerns. After all, even if the outside world knows Huawei, it is unlikely to buy it. At that time, Huawei had been manufacturing mobile phones for several major operators in Europe for many years. The business behind the operators was also good. But the temptation is full. Mobile phone is a highly mature market with a global division of labor. Europe has become a real high-end market because of the per capita mobile phone consumption of more than 300 euros. Winning Europe means half the success in the field of terminals and becoming a leading global brand. Huawei has begun signalling to its European operator partners. In a business communication, some European operators have expressed their cautious pessimism. At that time, there were Bloomberg and Yu Chengdong, the new president of Group Consumer BG. Before that, Yu Chengdong, who runs the wireless sector in Huawei with an annual revenue of more than $39 billion, made Huawei the world's largest telecommunications equipment manufacturer by overtaking Ericsson during his tenure. Six years went by in a hurry. According to gartner, the third data analyst, Huawei replaced Apple with 13.3% of the market share in the second quarter of 2018 as the second largest company in the world, and its market position was totally different. Bloomberg still remembers the negation of European operators at that time, and when he complained, he couldn't help telling the story to others. Huawei is a company that is good at summarizing. This pursuit of why has become an important consideration in exploring the European market to a large extent in the future. Mobile phone business is only one of them. The top players in this market, without exception, successfully told their stories and why. Samsung has integrated into European life through years of sports marketing. Apple is popular because of its sensitivity to art and fashion. How to tell Europe about Huawei's why has become a difficult problem. By the end of 2015, Bloomberg had been promoted to President of the European business area, covering lines including IOT, telecommunications and mobile phones. Challenges were passed on to his successor, the benevolent person who took over the consumer business. Obviously, if you don't understand Europe, you can't really understand the needs of Europeans. Until the beginning of 2016, Huawei's share of mobile phones in Europe was less than 3%, and some models sold only four digits. Huawei always has a keen sense of smell. The company began to set up aesthetics and design centers in Europe, as well as specialized product centers to collect user appeals and gaps with competitors. The monthly report of the European Center will be presented to Yu Chengdong personally. The report details the size, feel and color of the product. After Yu Chengdong's reference, he provides clues for improvement and innovation for the next generation of products. Bloomberg concludes that the process is much like twisting a towel, with both front and back ends facilitating. They also found that successful products need to match good brands and stories, otherwise it is difficult to convince partners. Published in 2016, P9 is the world's first mobile phone with Leica lenses. But Huawei talked back and forth about its cooperation with Leica for two years. Hao Rengui believes that in the final analysis, the other party did not fully understand what kind of company Huawei was, and did not establish a complete sense of trust. In telling this story, Hao Rengui highlighted the domestic theme of the publication of P20 pro: highlighting self-portraits and beauty to show Huawei's insight into popular cultural exchanges in recent years. He believes that storytelling in Britain and Italy needs to be humorous and implicit; Africa or Asia needs to be straightforward. It took Huawei six years to explore how to match the right story with the right product. Hao Rengui regards the release of P20 as a typical breakthrough. Unlike Mate7, the Huawei high-end mobile phone series of P20 and Mate20 gave satisfactory answers. These phones are all priced at more than 5,000 yuan, except for China, the biggest market is Europe. Since 2018, Huawei has sold two mobile phones in Europe, one of which is a high-end computer. To some extent, the mobile phone business helps Huawei understand Europe better, and it is also a window for Europe to re-recognize Huawei. This 350-year-old cultural heritage is facing tremendous challenges when Mr. Shi Weiliang, the representative of Huawei's French office, met Thiellay in April this year. The Paris Opera House has been transforming digitally since 2015, including investing in APP and building websites, but progress has been slow. Four and a half years later, there are only two technicians. 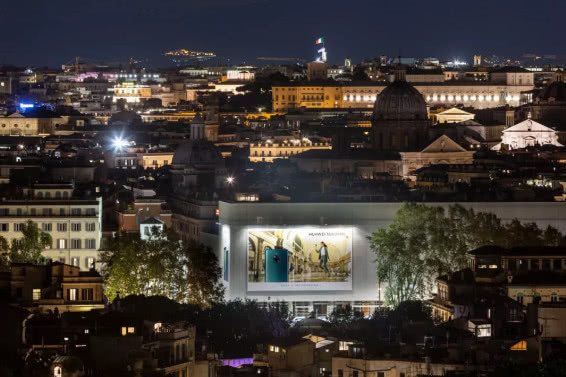 The olive branch was handed out by Huawei, which had provided technical services to the Saatchi Gallery in London and was helping the Palace Museum digitalize in China earlier. 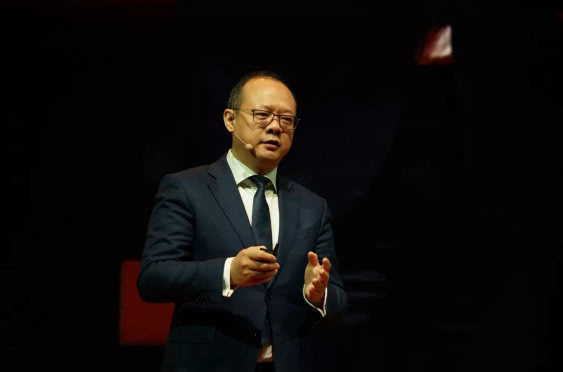 Shi Weiliang believes this is in line with Huawei's new story this year: bringing the digital world into every individual, every family and every organization to build an interconnected intelligent world. The project took only three months from the start to the signing of the agreement. Since last year, Huawei has been providing IOT technology services to Nordic fisheries companies to accelerate their digital transformation. Digital technology helps fisheries companies save 10% of their fish every year, equivalent to cutting costs by $600 million. The technology is provided by Huawei's European joint innovation incubator. This year, Huawei established its second joint innovation incubator in Paris and the first in Munich. By the end of 2021, the total number of incubation centres in Western Europe will increase to three, with a total investment of more than $50 million. These centers focus on industrial manufacturing 4.0, smart cities, new retail and IOT, providing local technical support for Huawei's new stories to tell in Europe. In the eyes of European society, 18 years later, Huawei has transformed from an original telecom equipment manufacturer into a connecting company providing intelligent life. It not only provides technical services, but also works with local industries to build mobile interconnected ecosystems. Mobile phone is the pusher in this ecosystem. On the one hand, it lets the outside world perceive Huawei. On the other hand, it serves as a digital terminal link to facilitate users'arrival. Even in the early stage of internationalization, Huawei has a clear understanding and clear exploration of the era of mobile interconnection, and adherence to mobile business is one of the examples. Huawei has been debating for years whether to build its own brand of mobile phones. Opposition voices do not calculate the future of mobile phones, they see current profits. After cutting off ODM (Original Design Manufacturing, where one manufacturer designs and manufactures products according to the specifications and requirements of another manufacturer) in 2012, profits in Europe fell by 60%. Pan-network industry profits are much higher than mobile phones, not to mention the poor sales of Huawei mobile phones at that time, only low-end machines can be sold. But for Yu Chengdong, large enterprises also have small businesses, and small businesses may become a strategic direction. ODM's profit has become thinner and thinner, without its own brand, it will only be more and more controlled by customers. We should not only make our own brand, but also make high-end products. One autumn night in 2012, Yu Chengdong sent the above idea to Weibo with despair and was not afraid of leaking, because at that time he was not angry and nobody cared what he said. Until 2015, the mobile phone business was on the rise. From equipment vendors to consumer businesses and then to digital ecosystems, Huawei has groped out the process and experienced constant trial and error. Each turning point can embody Huawei's overseas survival mode, including the strategic formation mechanism. A Huawei Russian middle-level employee once told Caijing that in overseas battlefields, you can see what kind of company you are. Whether you exit directly, persevere patiently or come back depends on the company's genes. Even today, however, Hao Rengui dares not say that he fully understands Europe. Overseas, Huawei is still on its way to finding a unique way of life. Take consumer business as an example, Huawei insists on the global brand marketing framework in 2016 in order to achieve brand globalization. Since this year, what Hao Rengui reported to domestic leaders has become how to better localize in the framework of globalization. The exploration of localization can be regarded as Huawei's new competitiveness in overseas markets. The team is close to the market and has accumulated a set of data. Why do we choose this size instead of others? Consumer data gives the answer. Huawei's phased success at least shows that Chinese companies are not without opportunities, and there are more and more players in this benchmarking market. In June this year, just less than a month after millet entered Europe, OPPO announced its high-profile entry into Europe and opened the new product launch directly to the Louvre in Paris. Recently, Hao Rengui has made a gratifying discovery. Huawei mobile phone's new aurora color has driven consumer fashion in Europe, especially in Southern Europe, where color sensitivity is high, and the acceptance of new colors has become increasingly high. Just before 2016, Europeans preferred black, grey and blue, with a passion for black as high as 60%. If it goes up to mechanism and methodology, this is the effect of localized links: building R&D capabilities locally and learning from local experience in design, culture and so on. Both terminal business and ICT enterprise business are practicing this kind of operation, and there can be a positive interaction between them. AI basic research and development in Huawei P20 was born in Huawei French Research Center. Since 2003, Huawei has established five R&D centers in France, two focusing on AI and one focusing on 5G, attracting nearly 100 local R&D personnel. According to Shi Weiliang, France is good at mathematics and algorithms, and the research center has given Huawei six months ahead of its competitors in the 5G field. In Milan, Italy, Huawei has also built research centers on microwave technology, radio frequency and algorithms. Huawei spends 20% of its total revenue on R&D every year. Huawei on the one hand step up investment in R & D, on the other hand around the digital ecology, expand the partnership. Including cooperation agreements with more than 100 European universities to support local small and medium-sized enterprises. Mobile phone terminal aspects of the ecological challenges are most obvious. One industry insider concluded to Caijing that Huawei's lead was due to its R&D investment, ambition and strong execution behind it. The key to execution is the construction of local talents. This is not only a long-term challenge for Huawei, but also a realistic problem for all Chinese companies who want to enter Europe. Market expansion can be very rapid, but the integration of culture is fine water flow. Of all Huawei's overseas markets, localization in Europe is the most difficult because of cultural superiority, Bloomberg recalls. When he first arrived in Europe in 2007, he was challenged every day by his local staff. The way is to find and empower local elites that fit Huawei's values as much as possible. At present, the backbone of Huawei's Western European team is the local people. The terminal team has grown from less than 200 people in 2016 to more than 600 people, more than half of whom are local employees. Huawei's localization in France is more thorough, with 80% of the 950 locals. At each interview, under the premise that the other person's experience and skills are satisfied, there is one additional question: what height do you think Huawei will reach in the next two or three years? As Huawei becomes an influential company in Europe, local employees will also be influenced by corporate culture. Hao Rengui said that they began to integrate into Huawei and could turn on 24 hours, even go to the office on weekends, or travel on their own initiative. Behind this is Huawei's fusion posture of iteration and revision in Western Europe, and new stories are continuing. Can Apple Pay stand in China?